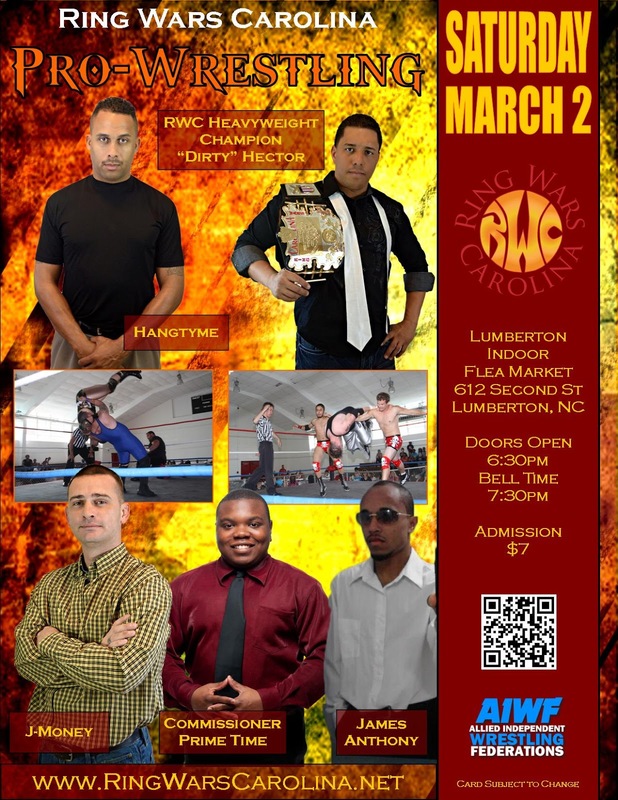 Saturday, March 2nd Ring Wars Carolina will make their return to Lumberton, NC. Come out and see your favorite RWC Superstars! RWC Heavyweight Champion "Dirty" Hector Sanchez will be there! So will fan-favorite Hangtyme, J-Money, Commssioner Prime Time, and James Anthony. Who else will be there, you ask? Come out and see for yourself!